Omar is now a freshman member of the House, holding a seat on the influential Foreign Affairs Committee overseeing legislation and investigations related to American foreign policy. But the 2013 comments – and it remains unclear if she still stands behind them – have generated more criticism. Omar’s office did not respond to multiple requests for comment from Fox News. “We’ve heard variations of this argument for decades now. We hear it on 9/11, we heard it when suicide bombs go off on train stations in London or Madrid,” Robin Simcox, a national security and terrorism expert at The Heritage Foundation, told Fox News. Before Omar made the comments during the 2013 appearance, the host also asked whether Americans should be held responsible for the U.S. government’s support of countries that intervened in Somalia after Islamist extremists took control over parts of the country in 2006. Omar replied with “yeah” multiple times to the host’s comments, before remarking “we could even go further” and said the media ignore attacks by al-Shabab in Somalia. “Everyone wants to talk about what was carried outside [of Somalia] and we don’t understand the politics that is involved in this,” she said. 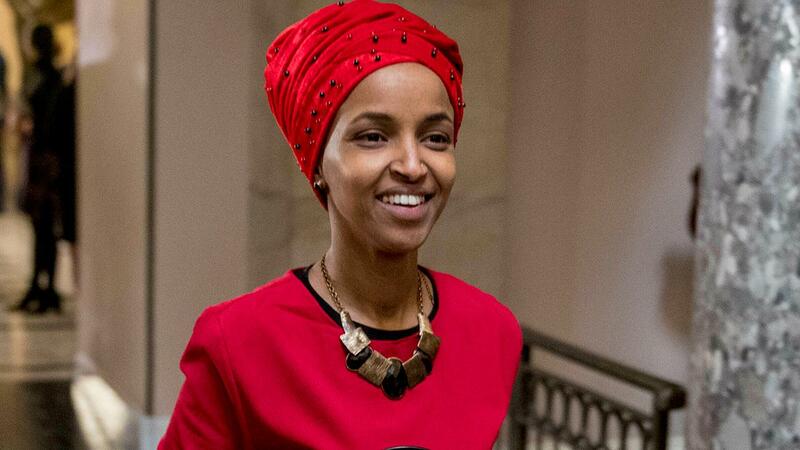 Omar has been facing scrutiny over her views concerning foreign policy since she was sworn in last month, including recent comments comparing Israel to Iran and saying she “almost chuckle[s]” whenever the Jewish state is described as a democracy. She later agreed with a liberal activist on social media that current-day Israel is much like the U.S. South during segregation.